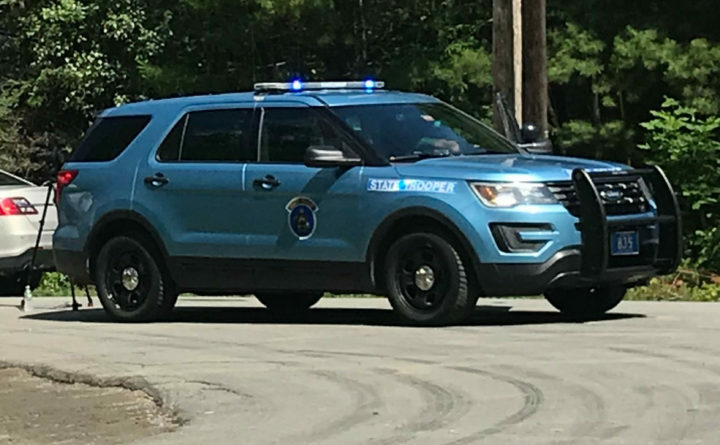 File photo of a Maine State Police cruiser. A routine traffic stop in Hancock County led state police to methamphetamine manufacturing equipment and two men who allegedly violated their bail conditions, police said Wednesday. Maine State Police Sgt. Tim Varney said he pulled over a vehicle on Route 1A in Dedham for speeding at 10:50 a.m. Tuesday when he allegedly found the equipment, which included a “one pot” vessel used to manufacture the illegal drug. Passenger Timothy Hannan, 38, of Bangor was charged with Class B unlawful operation of a methamphetamine laboratory, Class C possession of methamphetamine, Class C possession of heroin and violation of conditions of release. Another passenger, Diadema Rand, 27, of Bangor was charged with Class C possession of methamphetamine. The driver, Stephen Wood, 48, was issued a summons for violating conditions of release and illegal possession of drug paraphernalia. Their court dates were not immediately available Wednesday.